There are many options available for students to choose their career after school. The two major professional courses in India are Engineering and Medicine. To join these courses, students have to crack certain entrance exams like JEE and NEET. Some will prepare themselves on their own while some need extra guidance and coaching. 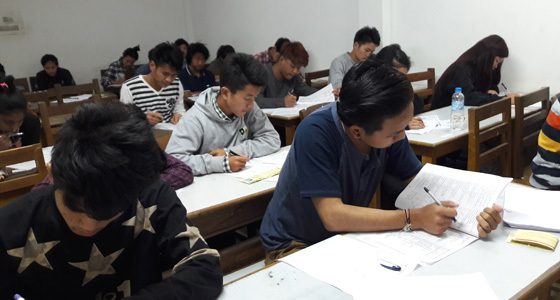 There are so many institutions in Arunachal Pradesh who provide coaching for these exams. The best among these yields best results always. Though JEE and NEET sound like two different directions, the core for these coaching is the class X to class XII syllabus. If the student is strong on these courses, they can score on these entrance exams easy. Nimbus Tutorials offers coaching from class X to class XII for these entrance exams. In every entrance exam the toppers will always get their unique place and they get a chance to choose their choice of college. Clearing these exams are important while scoring the best is the most important as people will be competing for the best of the best than just clearing these exams. Nimbus tutorials helps people outscore and earn their place. Want to join the best coaching center in Itanagar and excel? Simple visit the link http://www.nimbustutorial.com/ and choose the right package for you depending on your interest and the class you are in right now and apply for it. They not only provide the best coaching ever they also provide the best package ever for the students as they care for their scores.